Somehow, it knows how to adapt to changing circumstances within the body, whether it is assaulted by our immune system or by chemotherapy attempting to poison it. Cancer cells can morph and mutate in order to evade detection, repel enemies and survive. Cancer is parasitic and tries to selfishly gobble up the body’s resources for itself. It is highly toxic and certainly destructive. Cancer cells are not altruistic. While normal cells function solely to benefit the organism as a whole, cancer cells have their own agenda and that is to stay alive and to keep dividing. However, ultimately the cancer cells’ trait of hyper-adaptability and their specific needs fueled by greed may hold the key to beating the disease. Cancer begins with oxidative stress (think free radicals) of cellular DNA and their mitochondria (recall that mitochondria controls cellular metabolism and where fuels such as sugars, fats and amino acids are used with oxygen to make energy). 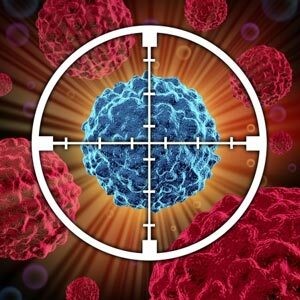 The things that cause cancer (carcinogens) such as radiation, bad lifestyle habits, viruses, chronic inflammation, man-made chemicals and long term stress begin to cause specific mutations to occur without killing the cancer cell itself. As the cancer cells divide themselves into millions, at some point these cells begin to get low in oxygen which is called hypoxia. The smart cancer cells get busy and activate the body’s messenger systems to create more blood vessels (angiogenesis) to bring more oxygen into the cells. Nonetheless, cancer cells can live with less oxygen than healthy cells — another adaptation to survive. Cell hypoxia causes cells to go into anaerobic respiration (a form of cellular respiration that occurs when oxygen is absent or scarce) which in turn elevates lactic acid in the blood, causing an increased production of free radicals, promotes inflammation and leads to the suppression of the immune system. Glycolysis is a process whereby glucose (food for your body cells) is broken down into ATP (energy). Under low oxygen conditions in the cancer cells an abundance of lactic acid is produced. Cancer cells make your body even more acidic as they produce lactic acid, and if you are eating and drinking more acid forming foods such as white flour & sugar, red meat, coffee, alcohol and other processed foods, can you see how you may be adding to the problem by helping the cancer cells survive and grow? Lactic acid is the same waste product you build up in your muscles with strenuous exercise. 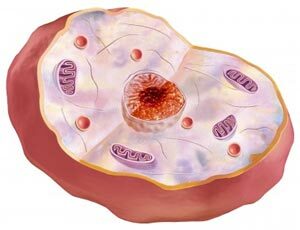 Normal cells do not do this unless they need fuel quickly like when you are running a race. Note that lactic acid directly contributes to tumor growth and progression. To add insult to injury, the low oxygen in cancer cells causes the cell to stop burning sugar with oxygen to fermenting sugars without oxygen (just like yeast cells). It is almost 15 times less efficient for the cancer cells to ferment sugars in order to obtain energy (glycolysis under low oxygen conditions). The yield is only 2 units of energy (ATP) for a molecule of glucose as opposed to 38 molecules produced by healthy cells using oxygen — however glycolysis is a faster way to produce energy! Many types of cancers grow themselves quickly. But this quick growth requiring massive amounts of energy starves the rest of the body. A feature of cancer is the replacement of the respiration of oxygen in normal body cells by a fermentation of sugar. A feature of cancer is the replacement of the respiration of oxygen in normal body cells by a fermentation of sugar. All normal body cells meet their energy needs by respiration of oxygen, whereas cancer cells meet their energy needs in great part by fermentation. Research has shown that the cancers with the highest growth rates had the highest fermentation rates. Cancer cells now have a powerful growth advantage, as they alter their environment through increased glycolysis in a way that is toxic to surrounding tissues, but harmless to themselves. The environmental acidosis also facilitates invasion through destruction of cells adjacent to it and the promotion of angiogenesis. Round and round we go. In holistic circles, oxygen based therapies and alkaline diets are touted as being anti-cancer because they say cancer cells cannot live in an alkaline and oxygen saturated environment. True, but you cannot easily change the interior of the cancer cell’s high acid and low oxygen levels in the short term, but a whole foods diet, proper breathing and stress reduction do help change the physiological environment the cancer cells are bathed in over time. This is because the body does have buffering mechanisms to keep the tissue acid-base system relatively stable through our respiratory and kidney systems, but there are other ways that we will be discussing shortly to change it up to create an unfavorable place for cancer cells to live. Next week, I will write more about the role of sugar (carbohydrates, especially processed carbs) in cancer. Dr. Otto Warburg, a Nobel Prize winner in physiology for cancer research in 1931, discovered that cancer cells have a fundamentally different energy metabolism compared to healthy cells, and that malignant tumors tend to feed on sugar. This research is still highly valuable today and is still recognized as a highly plausible reason for cancer growth and metastasis. In principle and in practice, the metabolic dependencies of cancer cells can be exploited for cancer treatment using natural methodologies which we will explore further. I will discuss diet and lifestyle factors to combat cancer, natural anti-inflammatories and anti-cancer herbs. Please stay with me in this very important series and feel free to comment below.